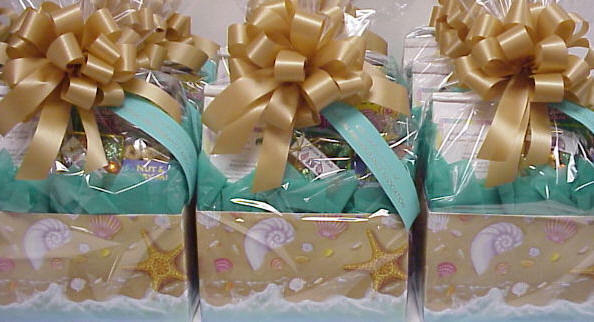 This cute seashell themed box comes in small and large sizes and can be filled with a variety of snacks and gift items. Yummy key lime cookies, water, seashell chocolates, tropical dried fruit and nut mix, salt water taffy, to crackers, spreads, pretzels with key lime dipping mustard and key lime truffles and more. Call or email us for add-on & content options.